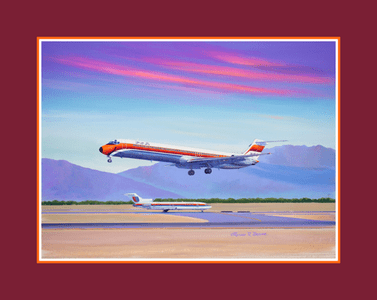 Frontier Airlines CV-580 "End of an Era "
Limited Edition Paper and Canvas Prints. Some Limited editions come with special logo emblazoned in the border! These are HIGH quality affordable editions. We have most major carriers, so make sure to browse all of the products below. If you don't see what you want, please contact us at printafa@aol.com and we will see if we have it. Add custom framing to complete your commission.